Mansfield Town v Lincoln City. 'Gethin Jones clears a Lincoln attack. 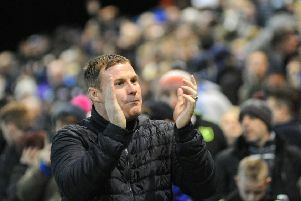 Mansfield Town boss David Flitcroft said he was proud of the way the club came across in Monday night’s live Sky TV game with Lincoln City. Two good sides battled out a blood and thunder draw in front of the biggest crowd of the season at the One Call Stadium and Flitcroft said today: “People who watched it on TV thought it was a good advert for League Two. “I spoke to one academy manager who was going to show the whole game to his players with the passion, commitment, passion, honesty and sincerity in two teams wanting to win a game of football. “U21s football can be a bit sterile and he thought it was a good advert to show. “I was delighted how the town got behind it and the supporters were shown in a brilliant light – Lincoln supporters as well. He also said he was delighted that fans all behaved and got behind their sides at full volume. “We have had other televised games recently where you’ve had unsavoury moments and fans coming on. But it was immaculate on Monday which was important,” he said. 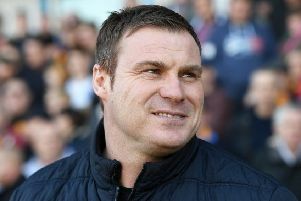 Flitcroft said, despite not wining, he was pleased to see his young side rise to the occasion on live TV and not freeze. “Only getting one point, as it’s sunk in over the last two days, is the only disappointment. But I was proud how we represented on Sky,” he said. “We were on TV and our players came through another experience they have not had a lot of. 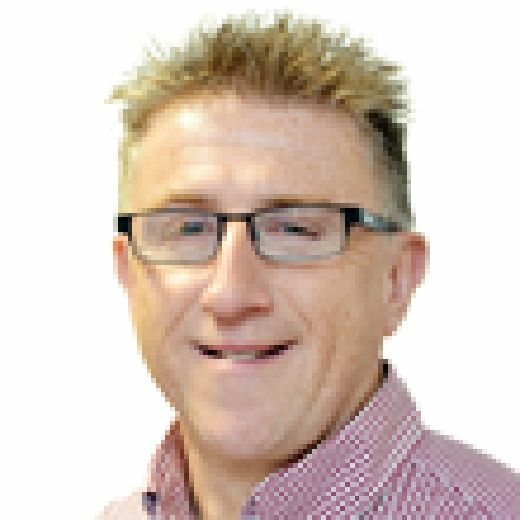 “There has not been much TV football at Mansfield and players can freeze. They can have anxiety and close up. “But our players didn’t. They rose to it, drove and looked strong, fit and athletic. “It was a massive game and we had some really big performances. They answered a lot of questions after some disappointing away performances.